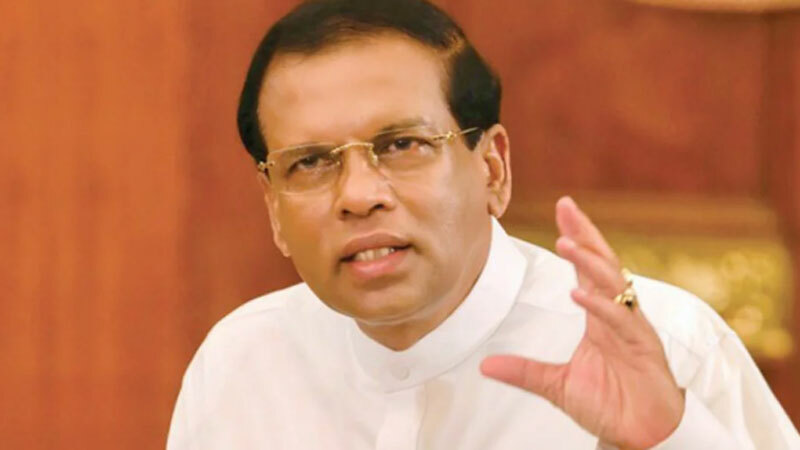 President Maithripala Sirisena instructed officers to create drug fee villages and zones specially the villages in agricultural areas. The President made these remarks while addressing a gathering organized to offer 10,500 land deeds to the farming families of the Mahaweli areas today. The event which came under the programme of Mahaweli Authority to offer 1 million land deeds, was held under the patronage of the President at Nuwaragala Maha Vidyalaya, Dehiattakandiya in Mahaweli C Zone. It has been planned to offer 52,000 land deeds to farmer families, which have not received land ownership for years, by the end of this year. Accordingly under the second and third phases 18,500 land deeds will be offered in next July while 23,000 will be offered in next November amounting to 52,000 land deeds. Since 2015, 200,000 land deeds will have been offered by the end of this year. The President while addressing further stressed that a countrywide operation will be launched to free the country from illicit liquor from next week and aiming to create a drug free country. “In line with the ongoing mechanism of eradicating of drug menus, a programme will be launched with the assistance of tri-forces and the police by next week to wipe out Kasippu throughout the country. Kasippu menus is responsible for ruining the internal peace of a family. Besides, the entire family members are affected with facing immense hardships due to the Kasippu menus” he said. The President addressing the large gathering said that drug free environment friendly villages should be created to have a discipline and lawful society. Under this move everyone is duty bound to assist in creating a drug free villages and zones so as to eradicate the drug menus including Kasippu from the country. He instructed the Mahaweli officers to take necessary action to create drug free villages and to evaluate those villages. The President addressing farming families said that the government has taken many measures to evaluate and gift farmers and farming organizations aiming to encourage them since farmers are the life blood of country’s economy. Accordingly, farmers and farmers’ organizations were felicitated and gifted for their outbound performances in the farming fields under the categories of the best milk producer, the best home-garden, Mahaweli Maha Goviya, farmers’ organization with efficient water management and the best Mahaweli farmers’ organization etc. President Sirisena said that it is also needed to ease farmer from loan burden as framers are generally affected with the loan burden. Then the President pointed out the need of having strong mechanism to ease farmers from the vicious affect of loans aiming to empower the entire farming community in economically. “Many talks have been carried out and implemented several remedies during the last three, four decades to ease farmers from loan burden. But I think that those remedies are traditional and not effective” he said. The President while speaking on milk production and milk consumption said that Sri Lanka is among a few countries in the world using dried milk since most other countries use fresh milk. He highlighted that no milk power importers are allowed to handle the health of the country. He further said that it has been reveled several health issues with milk power.